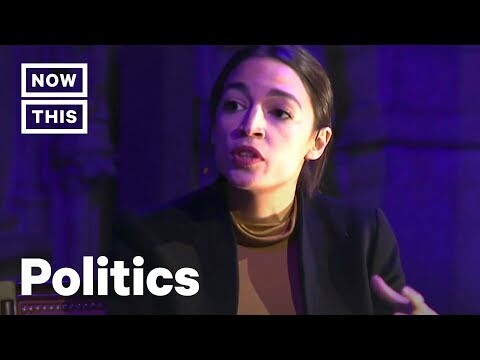 In a recent public interview at the Riverside Church in NYC, democratic socialist congresswoman Rep. Alexandria Ocasio-Cortez addressed the morality of inequality, poverty, and a system that allows for billionaires. In this Alexandria Ocasio-Cortez interview, Ocasio Cortez explains that she thinks any economy that allows for people to amass obscene wealth is immoral. She clarified that she doesn't think billionaires like Bill Gates and Warren Buffett themselves are immoral. Non progressive news outlets like Fox News ran with this quotes from Alexandria Ocasio Cortez. Dancing around the actual issue, Fox News focused on what she said about ringworm in Alabama. Alexandria Ocasio-Cortez has been in the news recently for her 70% marginal tax rate proposal.